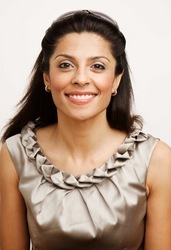 Rozina Ali (http://www.rozinaali.com) one of the country's top surgeons, specialising in breast, reconstructive and cosmetic surgery, is offering FREE 15 minute consultations to people wanting advice between now and Christmas. I enjoy helping people become their ‘best’ selves. A small procedure is often just enough to allow someone to take on the world with confidence! she is extremely highly qualified and has a passion for surgery, breast surgery in particular. she is highly articulate, dynamic, intelligent, stylish and very attractive to boot! After several years of successful practice as a reconstructive surgeon in NHS practice in Norwich, Rozina has stepped up her private practice and market her services and points of difference to attract a new affluent, smart, well connected, and potentially hip clientele. Rozina has already attracted the interest of the finest clinics in the country and has practicing privileges at the stylish Cadogan Clinic in Chelsea, the fashionable Portland hospital for women and children, a Harley Street practice, as well as the respected Spire Hospital in Norwich. Rozina is available for interviews or to give quotes. An excellent and inspiring communicator, she is especially suitable for TV, radio and women's press interviews. The UK cosmetic surgery market has expanded rapidly over the past 5 years (2003 to 2007). The market — which includes both surgical and non-surgical procedures — was estimated to be worth £493m at the end of 2007, with annual growth rates of between 21.7% and 69% from 2003. This growth was mostly driven by women. The case for promoting plastic surgery online is compelling as in 2008 there were more women online than men in the UK for the first time ever. For most women, surgery is a major investment in themselves, Spire Healthcare quote a guide price for breast surgery of between £4,500 to £5,000.